Who's the Top dog these days? Re: Who's the Top dog these days? 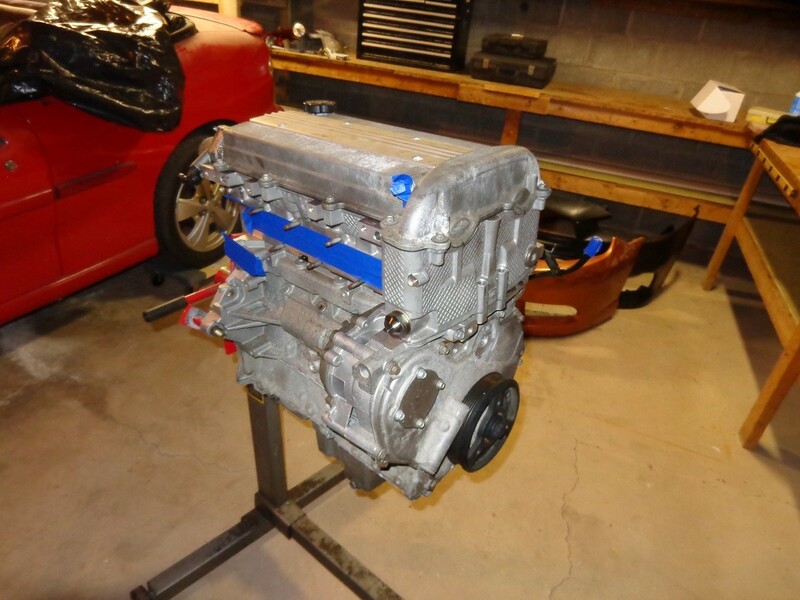 I am slowly still putting a L61 together to hopefully be the highest hp supercharged J. Good news is that I am getting very close. Short block is done. Just waiting on the head and a few odds and ends. Longest build/downtime in KGM history. You or Rob, who will win? I don't know, at least Rob's built motor is in the car? Fetter, fastest and best looking. Kyle's is going in the vert though... basically starting from scratch again. Hey, now it is a completed long block. I have been tinkering on the vert here and there. Kinda hard to make alot of progress on one car when you have 2 other cars that need some attention. It honestly hurts how dead it is. I say the top dogs are those with the RHD setup and turbo to prove it. Bla, I just miss talking to everyone, even though I do still talk to a lot on facebook. It ISN'T the same. I say the top dogs are the ones still doing the j scene. Fetter, was always my absolute favorite. Do we have an org group on facebook? we do, but I don't think you can post on it. Then you have JBI (a joke), and a few other jbody pages. LOL, I tried signing in to see if my account still works and it does! My 96 Sunfire is long gone and even my 03 G35 is getting up to 190K. Haven't posted on here in over a decade! My heyday was from 2000-2005 and I left when I got my G35 in 2007.